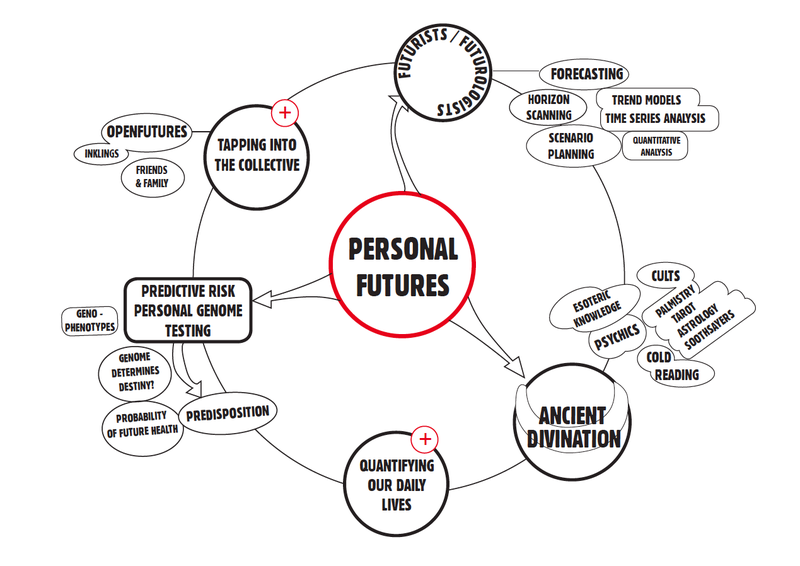 Personal Futures – foundation to my thesis project. The main thesis to this work is entitled “The Future of Self-Knowledge” and looks at the future implications predictive gene testing will have on the understanding of our futureselves and the development of Personal Futures product and services. This blog captures all the research carried out during Jessica’s final year at the RCA and continues to capture the many methodologies that exist out there to understand ourselves and our lives in the future. With this body of research she created The FATE Institute (The Futures Association for Therapy and Entertainment), a fictitious future forecasting institute that acts as a vehicle to generate personal futures services and products based on the cross pollination of corporate futurology, ancient divination and predictive gene testing.